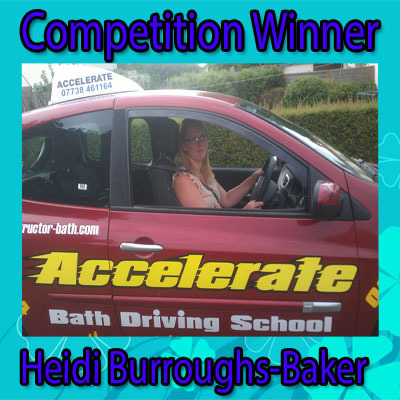 Here is Heidi Burroughs-Baker the Winner of the competition to win 5 hours of driving lessons, with Accelerate Bath Driving School. Heidi started her driving lessons this week with Stephen Paraskeva. She is now on her road to independence, keep your eyes open for the next competition. You could be the next winner. 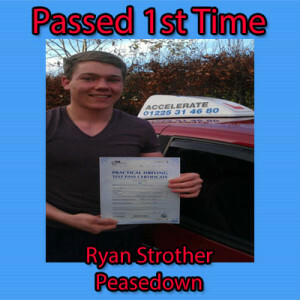 Congratulations to Ryan Strother who passed his practical driving test 1st time , at Kingswood test centre in Bristol. You did a excellent drive on the day and passed with flying colours , now you can go off to Uni and concentrate on your sports. 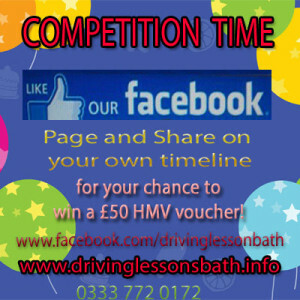 All the best from your driving instructor stephen Paraskeva at Accelerate Bath Driving School.